HALIFAX -- One of Nova Scotia's biggest employers, tire-maker Michelin North America, is under threat if Donald Trump's proposed changes to the North American Free Trade Agreement are adopted, the province's trade minister warned Wednesday as he headed to Washington, D.C., for two days of talks with key trade partners in four U.S. states. "The issues that are the focal point of the Trump administration ... could be very detrimental for our economy and for the people of Nova Scotia," Geoff MacLellan said in an interview as he prepared to board a flight in Halifax. "We're going down to make our case known." 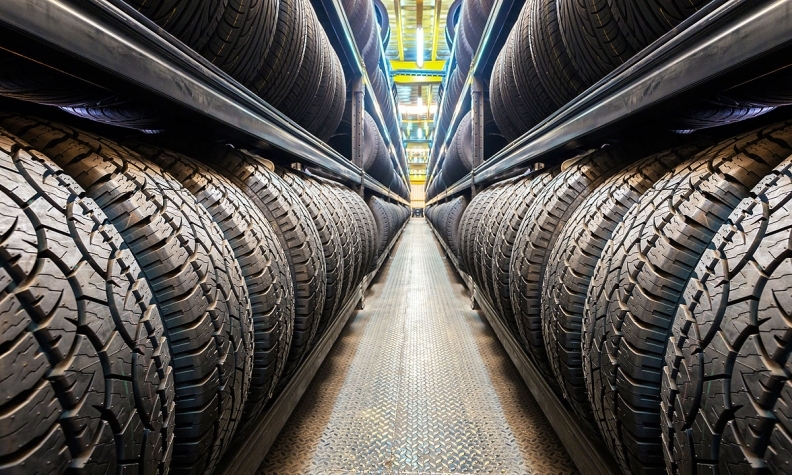 The company's Nova Scotia operations produced more than $1.2 billion in exports last year, which means that tires were the province's No. 2 export by value, surpassed only by the booming seafood industry at $1.6 billion. Together, seafood and tires account for 70 per cent of Nova Scotia's export value. "Having all three North American countries under NAFTA allows us flexibility with our supply chain and distribution of our products," communications director Deborah Carty said in a statement. "We are able to better meet the needs of our customers without the imposition of tariffs on qualifying goods." Carty went on to stress that Michelin isn't about to leave Nova Scotia. "We are a part of this province and we are here to stay," she said. "We are following the negotiations and are hopeful an agreement that is mutually beneficial for all parties will be reached." "There's never been a more critical time for trade and conversations regarding NAFTA," MacLellan said, noting that 700 Nova Scotia companies export to the United States, business that supports 25,000 jobs. "If we don't get this right, it certainly could impact many people across the province." MacLellan initially told The Canadian Press that if the protectionist trade demands made by Trump are adopted, Michelin's operations in Nova Scotia and the United States would be shut down and moved to Europe. However, the minister later backed away from the dire prediction, saying a "significant impact" was likely, but he said it could take some time for that to happen. "This will have as much an impact on our state colleagues as it does on Nova Scotia. We want to make sure they're aware of that and align our lobbying and communication efforts." The company established two plants in the province in 1971 and later announced construction for two other plants in South Carolina. Michelin's North American headquarters are in Greenville, S.C., and the company now operates 20 plants in North America, including one in Mexico. Its Canadian headquarters are in Montreal. The minister said he planned to meet with officials at the Canadian Embassy, where talk will also include Nova Scotia's concerns about exports of alcohol and softwood lumber.